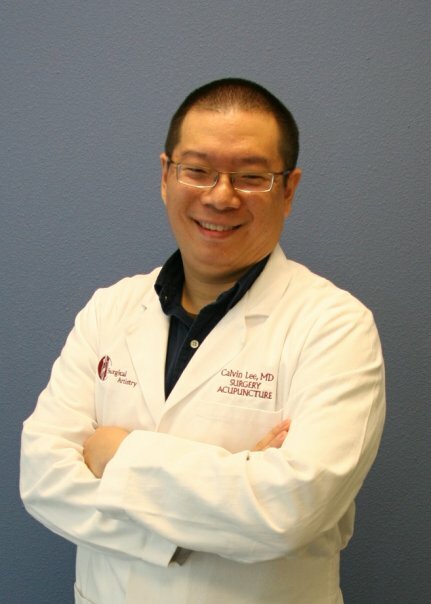 As a surgeon, Dr. Calvin Lee brings to acupuncture a deeper understanding of acupuncture anatomy - having operated in many of the areas which involve acupuncture needles. Acupressure is also a modality used instead of or in conjunction with acupuncture needles depending on the situation. Dr. Lee also brings surgical dexterity to acupuncture maneuvers. Countless hours in the operating room performing trauma surgeries, vein procedures and breast surgeries such as sentinel lymph node biopsies and modified radical mastectomies allow for anatomical experience and surgical dexterity. There are many reasons for a surgeon to practice acupuncture besides anatomy and dexterity. Acupuncture allows Dr. Lee to take care of post operative discomfort (such as nausea) and problems (such as slowed gastrointestinal tract) with Surgical Artistry surgical patients. In many respects, acupuncture can be considered a surgical specialty, but the treatment isn't so much an anatomical treatment, but one that affects the energy flow through your body. With his expertise with needles, Dr. Lee branched out in 2006 to complement his wife's cosmetic practice by performing Botox and Filler injections. On a routine acupuncture day, Dr. Lee carefully inserts about 400 needles per day. Dr. Calvin Lee, MD was born in New York City. He gradually made his way to Brown University (he was accepted to Harvard, Stanford, and many other universities) where he received an undergraduate degree in Neurosciences. He also performed brain related research during his years in medical school which was also at Brown University. He met his wife, Dr. Tammy Wu at Brown University. His neuroscience background brings a scientific background to acupuncture. After medical school he pursued General Surgery training at Case Western Reserve and Southern Illinois University. While at Southern Illinois University, he received a teaching award for teaching medical students and surgical residents. Formal medical acupuncture training was obtained subsequently at Stanford University with Joseph Helms, MD leading the courses. He is currently an assistant professor at UC Davis for teaching surgery to family practice residents, physician assistants, and medical residents. He was given a teaching award in 2006 for teaching UC Davis students. 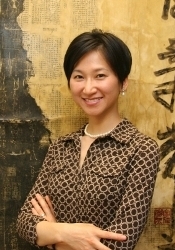 Besides acupuncture, Dr. Lee has an active general surgery practice which includes a comprehensive treatment of veins. He is board certified in General Surgery by the American Board of Surgery. He came to Modesto in 2003 and worked with the McHenry Medical Group and served as a Trauma Surgeon for Doctor's Medical Center (DMC) Modesto. He started his own practice in Modesto in 2006. 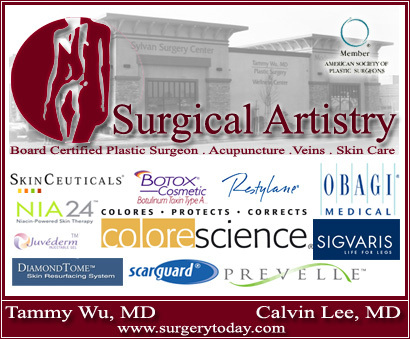 Surgical Artistry, Inc, is the name of his practice with Dr. Tammy Wu. His hobbies include running, playing piano and violin to excel with surgical dexterity, making web pages, and search engine optimization. Made the first Plastic Surgery web page for Brown University, 1996. The website has since been changed/updated. The link is to the historical website, not the current website. Many of the original scans / artwork remain the same to this date.